Click the button below to add the Phase II PHT-1800 Portable Hardness Tester with D Impact Device PHT1800 to your wish list. Our Best Selling Model! The PHT1800 portable hardness tester is loaded with a lot of the functions that users are looking for. With USB output, data can be transfered and saved. The keypad is arranged for quick selection of functions. The PHT-1800 has auto-probe detection, auto mean value, and auto Min and Max values. Ease of use coupled with fast test speeds, memory and output, this unit is a hands down winner in the shop or in the field. Call or email for shipping quote outside of the continental USA. Materials: steel & cast steel, alloy tool steel, stainless steel,grey cast iron, spheroidal iron, cast aluminum, brass, bronze, & wrought copper alloy. Which scales can this tester convert to? How thick does the part have to be? For testing large hard parts such as tool steel, the thickness should be close to 1" thick or more. If the test piece is coupled, it is possible to test down to a 3mm thickness. The PHT-1800 is simple to operate. First you need to load the impact device by simply cocking it. This moves the impact body, which is within the impact device, into the start position. 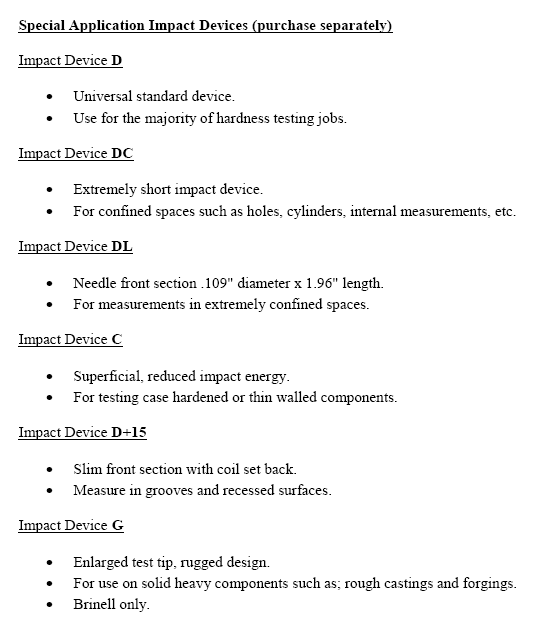 Next, place the impact device onto the surface of your test piece. 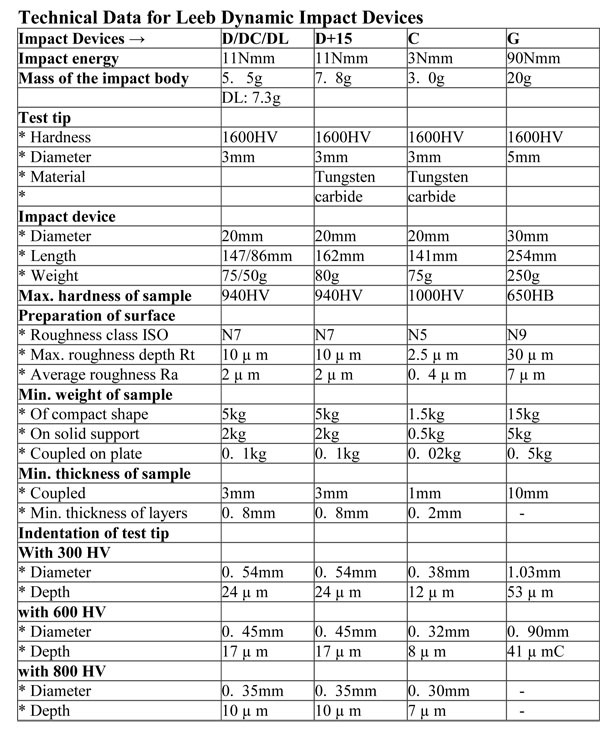 Finally, push the button on top of the impact device to initiate test and obtain reading. 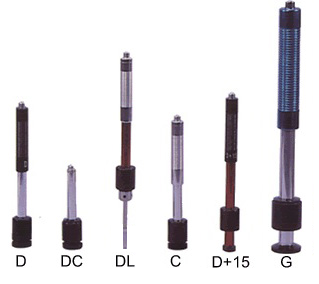 Standard accessories are: Tester, Impact Device "D", Calibrated Test Block, Software, Custom Carry Case, Cleaning Brush, and Operation Manual. A 12 piece Universal Support Ring Set is available for use on concave or convex parts (minimum radius of test piece curved surface without support ring: 1.2" (30mm) or 7/16" (11mm) with support ring).